Interview is a two way process. Many candidates feel stress and nervous at the point of interview time. Here are some interview tips to face interview in a confident way. Avoiding an eye contact: This is one of the main reason job seekers often face in an interview. Some candidates feel shy in making eye contact and feel uncomfortable. This also indicates that they are not confident enough, so maintaining eye contact in interview is very important. To overcome this, they have to practice in front of the mirror is a tested way. Asking no questions: Most of the job seekers fear to ask questions about the organization who are conducting interview. This lacks the candidate interest in organization. Recruitment process always test the interpersonal skills, leadership qualities, and communication skills of the candidate as the person who got selected should work with team spirit. So, it is always recommended to be thorough in company details. The job seeker can ask about the company is work environment, their objectives, etc. 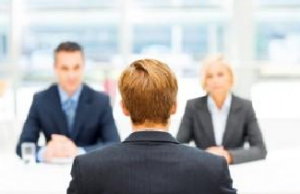 The interviewer observes the candidate how much interest he has in joining the company. Winning about previous employer/job role: It is always advisable not to make negative remarks of the previous company where they were worked. This gives negative impact on the candidate. So, to avoid this, make positive remarks about the employees and managers of the company you are worked with. Not listening attentively: A good listener is a good communicator. When you are not attentive in an interview, it implies your performance and that will give negative feedback to the interviewer. A good listener will always respond to the interviewer questions which results in understanding the industry's role. So, developing the listening skills helps in acquiring soft skills which play an important role in the development of one's overall personality. Cooking stories and giving ambiguous responses: Job-seekers should not cook stories about their personal and professional life as it gives bad impression to the interviewer. Most of the companies choose the candidates who instilled the moral values and intellectual values. Giving point-to-point answers and straight answers gives the candidate's success in the interview.